For a trouble-free move, the El Monte movers from Meathead Movers are for you! Our professionally trained student-athlete movers are ready to get you into your new El Monte home. If you are considering a move, be sure to check out what services the El Monte movers from Meathead Movers have to offer. El Monte, once one of the toughest towns in the West, has now become known as one of the area’s friendliest cities. Situated at the end of the Santa Fe Trail, this city saw some incredible talent play at the old El Monte Legion Stadium. Ritchie Valens, The Grateful Dead, and Earth, Wind & Fire are some of the most famous acts to have played here. While other El Monte movers might try to charge you by the hour and then stretch out your move as long as they possibly can, we offer fixed pricing plans for long-distance moves and a 100% satisfaction guarantee. 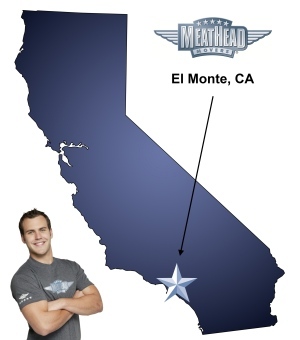 Meathead Movers is California’s top choice for local moves, long distance moves and commercial moves. At Meathead Movers, all our movers are polite student-athletes who have been trained and screened for trustworthiness. Our Meatheads don’t do drugs, they don’t smoke, and they’ll show off their trademark Meathead hustle. Whenever they’re not carrying any of your items or helping with boxes, they’ll jog to and from where they need to be in order to save you valuable time and money. In addition to all our El Monte moving services, we also offer short- and long-term storage services, packing services and our signature move concierge service. If you need a landscaper, a technician, a maintenance worker, a house cleaner, a carpet cleaner or anyone else who will make your move easier, we can give you the number of a Meathead-approved company that can help you out. We have already gone the extra mile so that you don’t have to. We always guarantee that the same movers who load your truck will be the same ones to unload your truck. We want our movers to be responsible for the work they do, and having them work both ends of the move will help to save time because they will know which items need special attention. Meathead Movers offers quality and customer service that other El Monte movers can’t match. If you’re moving to El Monte sometime soon, call us today for more information and to claim your free, no-obligation moving quote. Moving to El Monte? Here are some helpful resources. View more El Monte resources. The movers are Cheerful and very polite and listen to your needs. Great attitude, energy, made me feel I was their top priority, reasonable prices, reliable, what can I say! They were incredible!